The Amerock BP15852G10 Inspirations 1-3/4in(44mm) DIA Knob is finished in Satin Nickel. Clean, classic lines in a casual relaxed style, Inspirations is designed to compliment any dicor. The classic Satin Nickel finish provides a sleek, lightly brushed, warm grey metallic look. Amerock Grace Revitalize 1-3/4in(44mm) DIA Knob is finished in Satin Nickel. Delicate points and gentle curves find perfect balance in Grace Revitalize, a subtle nod to a timeless pattern. Stepped edges offer both depth and beauty at every angle. The classic Satin Nickel finish provides a sleek, lightly brushed, warm grey metallic look. 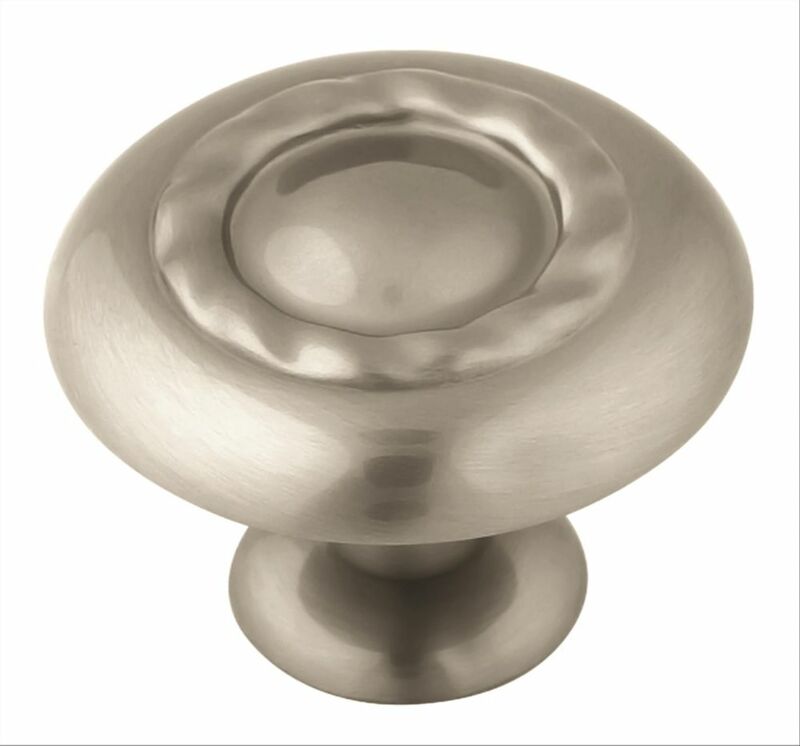 Inspirations 1-3/4 Inch (44mm) DIA Knob - Satin Nickel The Amerock BP15852G10 Inspirations 1-3/4in(44mm) DIA Knob is finished in Satin Nickel. Clean, classic lines in a casual relaxed style, Inspirations is designed to compliment any dicor. The classic Satin Nickel finish provides a sleek, lightly brushed, warm grey metallic look.